Stop what you are doing. You don’t even need to read any farther. Just BUY THIS BOOK! Seriously, this book is so….AWESOME! 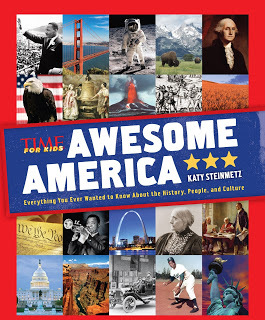 It covers everything you ever wanted to know about our great country. From our great beginning through all our trials and wars, to the present, nothing has been left out. This book is targeted to kids but the whole family will enjoy reading through it. I sure did! 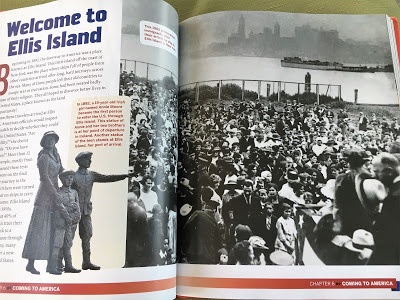 Of course, my favorite parts of the book involved the historical events that made our country great including the Women’s Suffrage Movement and the first immigrants who came through Ellis Island. As you can see, the pages are full of easy to read details and actual photographs. Younger kids will enjoy the bullet texts while older kids and adults will find the paragraphs full of interesting information. I sat down one evening and went through each page of this book, enamoured with the photos and facts reminding me of things I had forgotten and other times teaching me things I somehow didn’t know. I could not put it down and was anxious to see what the next chapter would teach me. 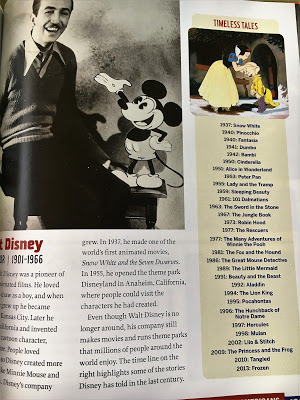 In fact, just the night before I had read this book, we were talking with friends about the history of the Disney movies and the order they were made. If only I had read this page before that evening! 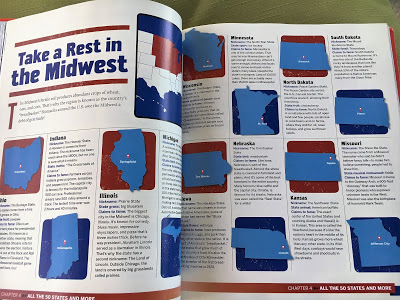 One chapter features each state including its nickname and claim to fame. Another section features the wild animals that inhabit the states and regions of our country. 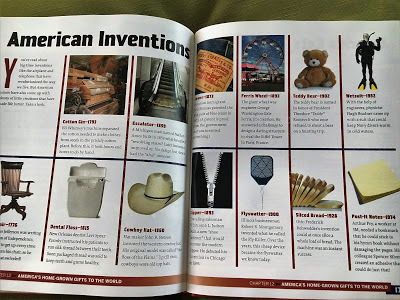 I also found the inventions page interesting as I learned how certain regular household items were developed and who the inventor was. 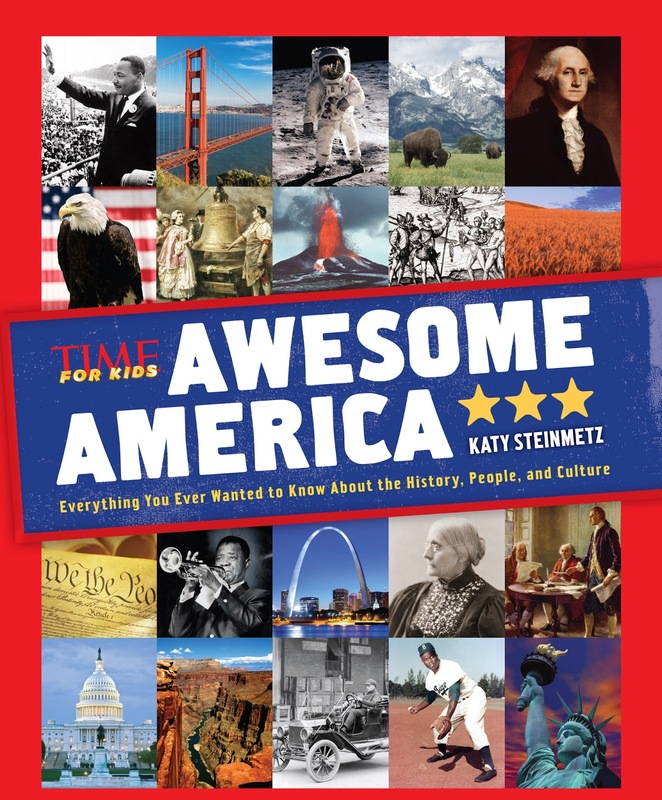 From jobs to family life to the Olympics to our Natural Wonders, this book covers all you need to know about the United States of America. This book should be in every classroom, library, and home. There is an eighteen-page curriculum guide to go along with the book that is perfect for teachers, homeschooling parents, or for those who want to keep their brain busy this summer. 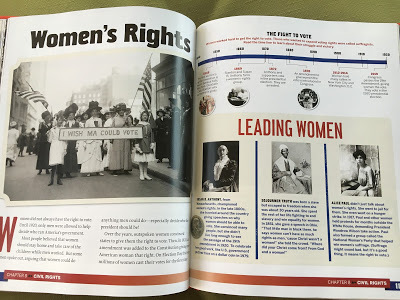 The FREE curriculum guide is downloadable to your computer, by clicking, HERE. 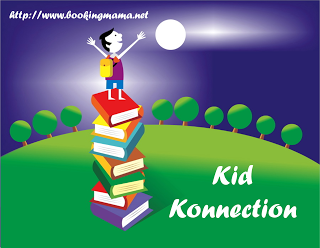 On Saturday, I’ll be linking up this review with Booking Mama’s Kid Konnection. Click HERE, to see posts from other bloggers related to children’s or YA books. Thanks to the publisher for sending a copy of this book for the purpose of this review. This review is my honest opinion. I was not compensated in any way for this review. If you choose to purchase the book through the above link, I may receive a small commission without you having to pay a cent more for your purchase. Thanks for supporting SincerelyStacie.com.